Last fall, we overheard that Twitter Engineering Director David Loftesness had some solid wisdom about training newly-minted engineering managers — an often precarious transition. So we sat down with him to see what tips he had to offer, and we were blown away. Not only did David have actionable insights to share, he had plotted out a concrete 90-day plan for engineers making the leap to leadership. We couldn't have been more excited to publish the piece — it's so representative of First Round Review's mission to bring original, non-obvious advice to light. The response was inspiring. Not only did it hit No. 1 on Hacker News, it was read far and wide by thousands. Clearly something had struck a chord. We watched as it got passed around the largest engineering teams in San Francisco. We eagerly invited David to host a dinner for rookie engineering managers in our community, which was a smash success. And now we're awaiting his forthcoming book. It's amazing what sharing this type of knowledge can do. We've seen it make magic happen for the people who provide it and the people who read it. The Review is now over two years old and home to dozens of stories that have resonated and made a difference like David's. In 2015 alone, we added nearly 100 new articles, full of granular how-to's for designers, product managers, marketers, recruiters, sales leaders, executives and many more. What follows is a list of the 30 most impactful, change-making pieces of advice drawn from everything we published last year. But as we look back and ahead, what's truly exciting is how much we've learned about what our audience actually wants and needs, and how we can do our part to make the entire tech ecosystem stronger. This is what will drive us to talk to even more remarkable people, try new things, and tell great stories in 2016. Join us. Won't you? "I would argue that criticizing your employees when they screw up is not just your job, it's actually your moral obligation." 2. Use feedback like Slack. Slack may go down in history for having the best go-to-market experience ever. Out of the gate it was crowned a unicorn and universally loved by its users. How did CEO Stewart Butterfield and his team accomplish this? For starters, they kept the product in beta for months to intimately understand their users, collect data and use it to fuel development. “We're fastidious about tagging all incoming messages across channels, collating, entering and retaining the data people share or send to us,” said Butterfield. This has allowed them to play to customers' priorities, optimizing the features they cared about most (i.e. search, synchronization and simple file sharing). On the quantitative side, it also gave the company a benchmark for success. They saw that once a team exchanged 2,000 messages on Slack, they'd be hooked. The company took the hint and baked new mechanics into the user experience to get customers to that golden 2,000 message mark. Spoiler alert: It worked. 3. Give away your Legos. “The best metaphor I have for scaling a company is building one of those huge, complex towers out of Legos,” says Molly Graham, COO of Quip and former Facebook culture architect. Early on at a startup, everyone's excited and has so much to do. But when you start to grow, a funny thing happens: People get nervous. “As new roles get added, you go through this roller coaster of, ‘Wait, is that new person taking my job? What if they don’t do it the right way? What do I do now?’” The emotions you feel when new people are coming in and taking over pieces of your job — it’s not that different from how a kid feels when they have to share their Legos. At a scaling company, giving away responsibility — giving away that Lego tower you started building — is the only way to move on to building bigger and better things. 4. Make speed a habit. “All else being equal, the fastest company in any market will win,” says Dave Girouard, CEO of Upstart, and former head of Google Enterprise Apps. “Speed is a defining characteristic — if not the defining characteristic — of the leader in virtually every industry you look at,” he said. "I believe that speed, like exercise and eating healthy, can be habitual." 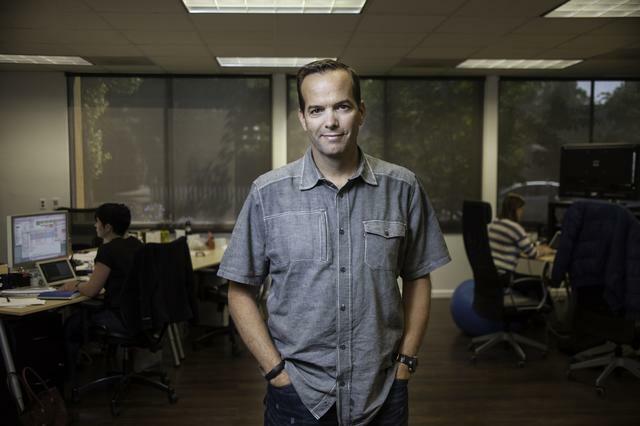 Dave Girouard at Upstart's Palo Alto headquarters. 5. Heed the Series A Crunch. Last year, First Round Partner Josh Kopelman observed this about raising Series A funding: The number of seed-funded companies recently quadrupled, and most of them set out to raise larger than average A rounds. This has unintentionally exacerbated a Series A Crunch — a rude awakening for companies that thought it would be easy to secure more capital. Kopelman's contention: This should fundamentally change the way early-stage founders think about raising money. For instance, some of the smartest founders he's worked with have raised larger seed rounds, buying themselves time to get more done before they pitch again. He also recommends forgoing party rounds to work only with investors who will roll up their sleeves to open doors, make intros, and concretely help with your next round. Then, once the money's in the bank, keep your burn rate low until you have product-market fit. “That's your best chance at building a big company that matters,” Kopelman said. 6. Your Team's Capacity = Your Executional Ability. "You need to level up everyone on your team all the time. Execution will follow." If you're stepping into technical management, you need to get out of the codebase and make peace with feeling like you're not getting anything done. Because you are. “Keep this truth top of mind: If you can help the people on your team grow their individual capacity, you'll be able to get exponentially more done,” said McKellar. “This is all about matchmaking them with high-impact projects that align with their interests, the value they want to create, and how they want to grow. That's when motivation becomes organic.” The other key thing you can do? Maintain a balance between more experienced and less experienced engineers working together and regularly sharing knowledge. Build in opportunities to make these conversations truly bi-directional. Jessica McKellar at Dropbox, where she now works as Director of Engineering. 7. Forget GPA. Look for these candidate qualities. The unwritten rules for how to hire are often plain wrong. 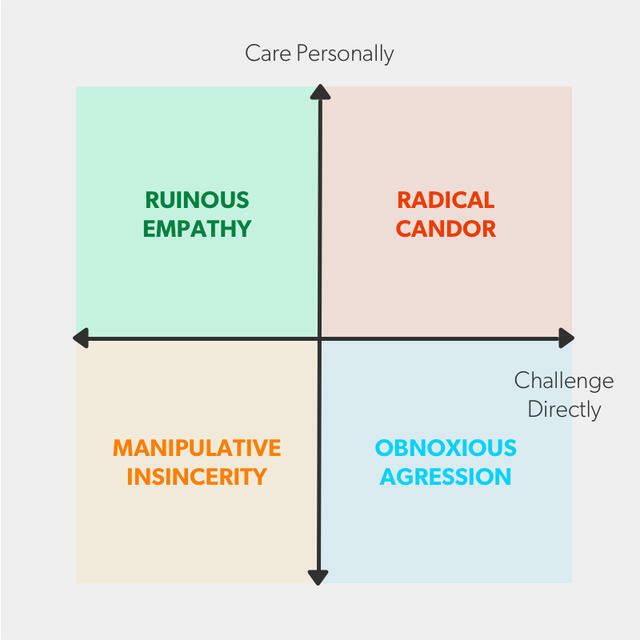 With more candidates who “look good on paper” going on to flounder at startups, it’s time to rethink what traits actually make someone a great employee. As the co-founder and CEO of Koru, the business-training program designed for new job seekers, Kristen Hamilton works to place people in jobs where they’ll excel. She now has a crystal clear sense of the skills and traits that make people great performers. They are: grit, rigor, impact, teamwork, ownership, curiosity and polish — and she's developed interview questions and tactics to test for each trait. The takeaway for startups looking to hire great employees? Determine the qualities and competencies that are the most valuable for your company and thoughtfully plug away at a rubric for finding them. Don't be surprised if you see some overlap between yours and the seven Hamilton proposed. 8. Follow these steps for sustained growth. 9. Run this 90-day plan for new managers. After steering his way through multiple engineer-to-manager transitions, David Loftesness started shepherding other developers into their first leadership positions. Recently, he collected his wisdom on the subject into a 90-day plan for new engineering managers. The framework is segmented into three distinct stages: Own Your Education (Days 1-30), Find Your Rhythm (Days 31-60) and Assessing Yourself (Days 61-90). Loftesness has baked in checkpoints along the way to help rookie managers across all functional areas (not just engineering) gauge their appetite to commit to the career path, which is a much bigger deal (with bigger tradeoffs) than most people suspect. “This is an entirely new job. Don’t expect to just bolt-on some management work and call yourself a manager,” he says. “You now have people whose happiness and effectiveness at work rests largely on your shoulders. You’re responsible for the results but can’t do it all yourself.” Lean on Loftesness’ plan to get started. 10. Make performance a priority now, not later. Since 2013, AltSchool CEO Max Ventilla has been working to reinvent education. To this cause, he brings years leading Google's personalization efforts, where he also saw one of the industry's most emulated and revered performance evaluation systems in action. This experience instilled him with a firm belief: That all companies can benefit from formal performance reviews at every stage. So Ventilla took on the herculean task of porting Google's “perf” system to the startup environment. His biggest lesson? Annual evaluations don't work for startups — you need to give and get constant feedback for smart iteration. “In a startup, things change so often that doing annual performance reviews seems just useless," he said. "We may have overcomplicated our process at AltSchool at the beginning, but we knew we’d be working at it for a while, and it was too important to do without. The critical thing is just to start.” With this attitude, Ventilla has presided over 10 performance cycles, has collected rigorous data on the experience, and has consistently shortened the time it takes so that the process keeps pace with the company's growth. 11. Replace policies with principles. “I can't tell you how much pain in my life has come from expense reports,” Curtis said. Airbnb’s old policy was a cumbersome one: Charges big and small required approval before they could be submitted. So he tried replacing it with a principle, simple good judgment, using $500 as a rule of thumb for when to get a gut-check. The result? No increase in discretionary spending (but a whole lot of time saved). Principles create the social dynamics that keep everyone within the boundaries of what's right and good for the company. 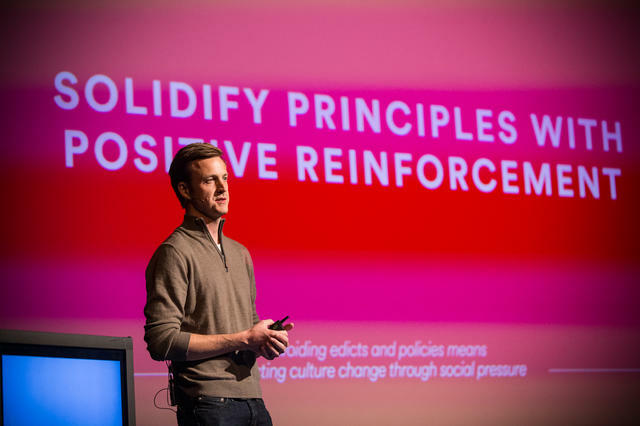 "The only way you can affect cultural change on an organization is through positive reinforcement and social pressure." Mike Curtis speaking at First Round's CTO Summit at the Exploratorium. 12. Let go of efficiency to accelerate your company. 13. Sidestep leadership traps with this 15-minute daily practice. The It: Did you execute the stuff you had on your list at the start of the day? Did you do the things that were important and not just urgent? The We: Did you add value to the lives of the people you interacted with? Did they walk away with more knowledge, energy, goodwill, help, a better understanding? You want to make sure you communicated clearly in a way that added value for them and met goals for you. The I: How did you manage your own energy and mood? Self-care measures like working out, eating well, and sleeping enough are just as important as anything you do in the office. You can’t help others if you deplete yourself. At the end of the week, Holmberg asks his clients to run the same exercise for an hour, only this time reflecting on the whole past week and looking ahead to the challenges and opportunities of the week ahead. 14. Constantly test new messages. Never stop. Product management expert Gibson Biddle has led and coached brand creation for companies like Chegg, Sega and Mattel. But he arguably made the biggest impact at Netflix. In the early days, building the company’s brand meant not only finding ways to promote and position the “brand promise” of Netflix, but also introducing — and owning — language that was fundamental to an incredibly new business model (people hadn't heard of 'streaming' at first). Biddle helped the company achieve this exposure through constant calibration. “The reality is you're growing up as a company. You're getting smarter, better, faster. You're learning. At Netflix, we constantly tested the non-member landing page — the page whose job it is to convert prospects into customers — every two weeks, forever,” said Biddle. Alter your imagery, your language, your presentation, and A/B test until customers become more familiar with your brand. You'll always learn something you didn't know before. Twilio Co-founder and CEO Jeff Lawson has become an outspoken teacher and student of company values. He’s brought granularity to a notoriously ambiguous topic by deconstructing these values into three stages: articulating, living and changing them. Twilio has nine values, precisely expressed. They are commandments and nearly every one begins with a verb. They contain five words or less, none of which are $10 words. Lawson has found that sparing, actionable language resonates better and feels more implementable. 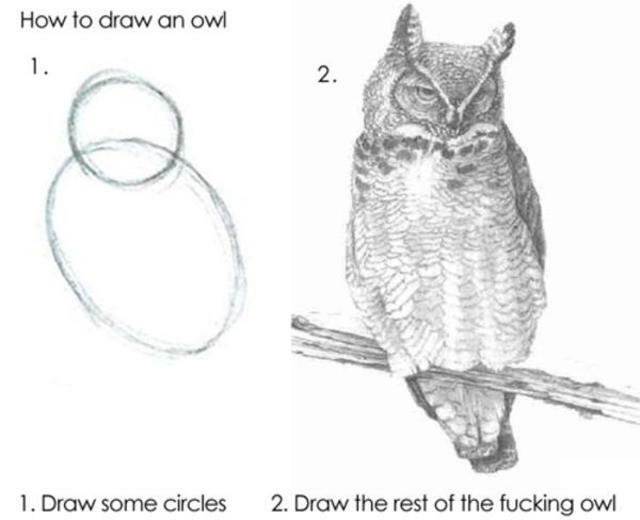 Perhaps the best example of a value that uses human, actionable words: “Draw the owl.” What originated as an internet meme spread through the company like wildfire in its early days. “It’s a great representation of our job. There is no instruction book and no one is going to tell us how to do our work,” said Lawson. “It’s now woven into our culture and reminds people that they are empowered to find answers for themselves." 16. Find your three P's. 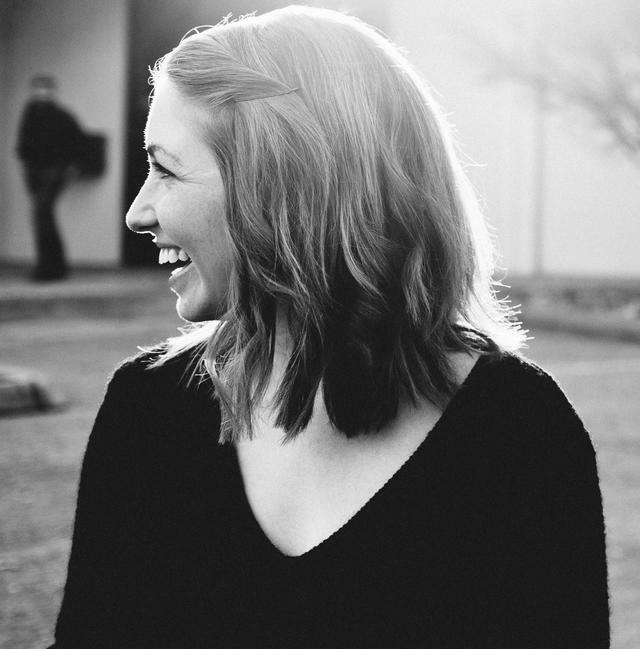 Arielle Jackson has an enviable marketing resume by any standard. For nearly a decade, she helped position Gmail, Google Docs, Calendar and Voice. Drawing from this experience and a following role at Square, Jackson has outlined a simple, but powerful framework that she’s used with over 30 startups to nail the purpose, position and personality of their companies (a vital first step to building a memorable brand). Get to your purpose by answering: “For your company, the world will be a better place if ________.” Your position is what makes you unique, relative to something your target audience already knows. “Your personality is really what you’re like. This part is less what you say and more how you say it. It’s embedded in your voice or how you sound in written copy,” said Jackson. “Ask yourself: ‘If you met your company at a party, how would you describe him or her?’” Your brand will be the product of deep consideration of your company’s purpose, position and personality. Run through the three P's to find it sooner than later. 17. Define your ONE main metric. If we only grew our volume of _____ and everything else stalled, our company would still be doing really well. Every user who takes a _____ action is going to basically use our product forever. You get bonus points if that action is designed to happen within a user’s first session with your app. All other numbers you look at should be made a subset or component of this one metric. The most vital metric is not how many prospective users you have milling about the top of the funnel — even if that seems like the best indicator of eventual growth. Your most critical metric will almost always be something deeper, like revenue. Build your strategy around that. 18. Get in the van. Michael Sippey has been shipping software since that meant literally shipping software. In the early 90s, he’d note whether his customer needed 5¼-inch floppies or 3½-inch floppies. But when it comes to gathering customer feedback, the lessons he learned over a decade ago are still very relevant to founders and product leaders today. The first and most important rule is that you must speak to your customers every day. 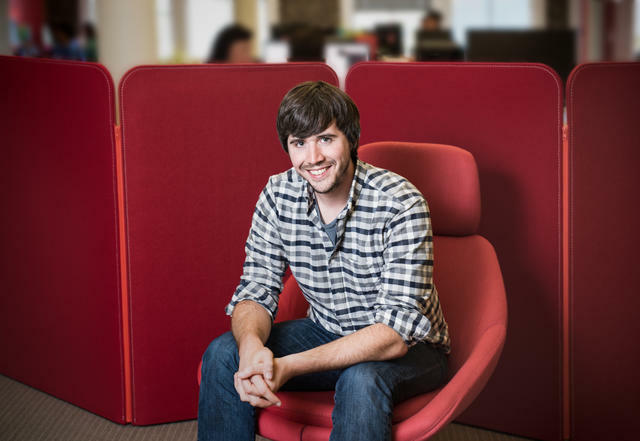 At the beginning of his career, Sippey learned to bring all the key players — your lead engineer, lead QA person, lead support person and sales person — to meet face-to-face with customers to hear firsthand about the problem they needed to tackle. Sippey still refers to this practice as “getting in the van.” “We really did rent a passenger van,” he said, recalling his rookie tenure at Advent. Because as one of his mentors, Frank Robinson, explained, you can’t build an innovative solution on your own. Equally important — whether literally or metaphorically — is getting that same team back in the van after the meeting. Score each session right away based on your own rubric of what's important, and make adjustments before your next meeting. 19. Identify your engineering superheroes. Looker Founder Lloyd Tabb assembles engineering teams by classifying and organizing developers according to their superhero personas. He takes this tack because it helps him separate his star engineers’ powers from their prowess. “Technologies change. Startups come and go. For the long-term success of both the engineer and me, I’m interested in what fuels the person, more than their last achievement,” said Tabb. “It’s part of your identity and the way you like to work. That’s the root of superheroism and what makes you powerful.” Each engineer has powers to be augmented and scenarios in which they’re misused. Aquaman can dive deeply through layers of API to fix a bug. The Flash’s superpower is speed. Ever righteous, the Priest is the engineer who’s inspired by order and code quality. Then there’s the Spielberg, who can make the software communicate without words. To get the most out of your elite engineers, try Tabb’s superhero classification system and build the optimal environment for them to flex their powers. 20. Solve this basic growth equation. 21. Ship software the right way for you. 22. Keep your company small while still scaling your product. If save-for-later service Pocket had a spirit animal, it’d be the American field ant. Like the insect, the startup supports weight that is many times its size. It serves its 20 million registered users — who have saved over 2 billion articles and videos for later — with a team of just 20 employees. At the center of this supernatural ability and efficiency is founder and CEO Nate Weiner. A small startup can use its size to force focus and better preserve culture as it grows, but these benefits are just the fuel for the work the team has to do. Its output — the actual product — can also scale without increasing headcount, but only through two channels. “The only way a product can grow with a small team is if your platform carries you or your users carry you,” says Weiner. To scale your company without growing your headcount, use tools to engage users, like surveys and beta channels, and create easy, low-lift ways for partners to extend and build on your platform. “The advantage of being small is that you find ways to make people outside your walls part of your company,” said Weiner. Nate Weiner at Pocket's office in San Francisco. 23. Keep in mind: When small meets large, small always wins. As longtime Chairman and CEO of VERITAS Software, startup advisor and investor, Mark Leslie has seen a lot happen in Silicon Valley. He saw IBM get its lunch eaten by HP, UNIX and Sun Microsystems — and many other behemoths taken down in similar fashion. These observations led to what he calls Leslie's Law: Small simple and cheap technologies will always supplant large, complex and expensive solutions. It's a tried and true cycle that's defined the ebb and flow of the industry. So what does this mean for startups? “There's always the temptation to over-feature your product, to build in bells and whistles because server space is cheap and you have the funding and talent to do it,” said Leslie. “Resisting this urge is your real competitive advantage.” Your rallying objective should be to build something truly great for the low end of the marketplace, solving an important problem with a simple, low-friction product in a segment of the market that's underserved by the incumbents. Once you have traction, you can nibble your way up until you're competitive with the heavyweights. But always keep one eye on the new entrants coming up behind you looking to eat your market share someday soon. 24. Land your "Tent Pole People." 25. You don't have to speak loudly to have an impact. Early on, Hackbright Academy's VP of Strategic Partnerships Angie Chang discovered that asking questions was actually the best way to influence others. After asking a conference organizer why there were no women on stage, she decided to co-found Women 2.0, one of the largest global communities for women working in technology. Chang built her strong personal brand making private, personal adjustments rather than being loudly outspoken. By definition, influence involves other people’s buy-in to change — and that begins with persuading yourself. Adopt a “founder’s confidence,” approach your networking with precision and “say yes” by default, she advises. These are the small decisions and habits that help build your personal brand little by little. Applying your influence to advance a cause or company requires more diligent, sustained work. The key here is to pick a very ambitious, focused mission to champion and express your viewpoint in a way that is authentic to you. For Chang, it was writing blog posts and circulating them via email. Your influence doesn't have to look like everyone else's. In fact, it will be more compelling if it doesn't. 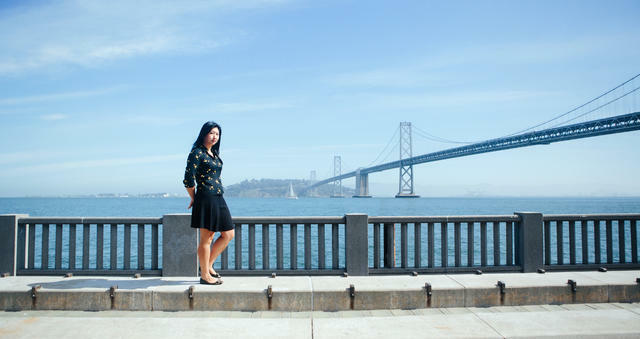 Angie Chang on the Embarcadero. 26. Start a recruiting revolution with data. Accuracy: Maximize the chances that new hires will become exceptional employees. Loss: Minimize the chances that great prospects leave the hiring funnel early. Success: Maximize the chance that offers will be accepted. Effort: Minimize the long-term distraction to the hiring team. Accuracy: 90% of hires should in fact be exceptional employees. Loss: We should make offers to 80% of the great candidates who enter our funnel. Success: 65% of offers extended should be accepted. Effort: Hiring should consume less than 10% of the team's time. By designing a hiring process that is smarter — both in identifying great candidates and reducing the risk of losing them — it’s possible to improve on the first three goals simultaneously. And, by investing heavily upfront (which pays off handsomely over time), the ongoing effort and distraction to the team can be minimized. 27. Be transparent about failure. 28. Put your sales narrative in the driver's seat. Identify your problem: What are the pain points you want to solve? Who has them? How are they currently solved or not? Solution: What has changed to make new solutions to your problem available? How does your new solution work to solve the problem? Specifics: What are the quantitative and qualitative proof points that validate your argument? These three steps will form the skeleton of your narrative. But most companies don't realize how powerful that is. Once you have a narrative you're happy with, you've won 70% of the battle creating the rest of your sales (and even marketing) resources: your recruiting and onboarding practices, your best sales deck, and even the emails you send, calls you make, and demos you present. 29. Give your users a feeling of ownership. Grace Garey, nonprofit darling of the tech world, is known for turning health donation organization Watsi into an email marketing juggernaut. But the principles she's learned along the way extend much further than email, and could help inform any startup looking to engage and retain high-value users. In particular, Garey succeeds at making users feel so special that they're compelled to share their enthusiasm publicly. Last year, she spied the opportunity that would come with fostering a greater sense of community among Watsi donors, but instead of launching a complex community product or tool, she did something much easier: She started assigning them numbers based on when they donated to the org's new Universal Fund — their own little patch of Watsi street cred. Users were wild about the new system, proudly proclaiming themselves donor number 8, 12, 31, etc. on Hacker News and other forums, Garey says. People want to be the owner of something unique, a tiny patch of virtual property. To make the numbers even more meaningful, the Watsi team decided to attach significance to getting into the Fund early. This stirred up a sense of exclusivity and competition that motivated even more people to join. Now over 1,700 people have pledged to donate monthly. 30. Just ship it — it’s usually easier to do it over than do it right the first time. Together, U.S. Chief Data Scientist DJ Patil and MetaMind VP of Engineering Ruslan Belkin have worked on a lot of data products. Reflecting back on the most mistakes and lessons, Belkin calls upon a favorite saying: “We don't have time to do it right, but we have time to do it over.” In other words, one should emphasize getting things out the door, trying them out, and iterating once there’s more information available. Patil and Belkin cite Linkedin’s “People You May Know” feature and Twitter Search, both which took years of iteration to drive reasonable growth, traffic and engagement. “It turned out that we had to iterate on all these systems until we were able to understand the right combination of features, the right evaluation framework. Until we got that stuff right, we didn't know how to build it at scale,” Patil said. Recognize that many products (data or otherwise) take time to mature and yield the information needed to make them better. 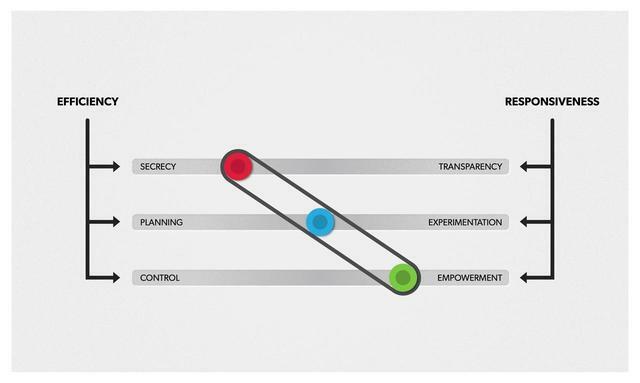 Experiment and iterate not just with products, but how you build them as well. You aren't going to solve the way you work all at once. Photography by Michael George and Bonnie Rae Mills.